Published: Jan. 6, 2015 at 12:39 p.m. 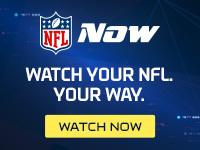 Updated: Jan. 6, 2015 at 08:15 p.m.
Ben Roethlisberger heads into the offseason with contract negotiations in his agent's hands and his health in the hands of the doctors. The Pittsburgh Steelers quarterback said Tuesday on KDKA-FM that he did not have a concussion following a jarring hit in Saturday's playoff loss to the Baltimore Ravens and added that his hand is fine as well. Later on Tuesday, coach Mike Tomlin took issue with any suggestion that Big Ben or tight end Heath Miller would have been allowed to re-enter the game with concussions. "I take offense to assumption we would put those guys in harm's way," he said, per The Associated Press. Tomlin did say that Big Ben could undergo minor offseason surgery on his knee, to get it cleaned up. We don't expect that minor surgery would affect Roethlisberger entering the 2015 season. 1. Tomlin reiterated that Le'Veon Bell couldn't have played this week if the Steelers were still in the dance. The running back's hyperextended knee shouldn't hinder his offseason work. 2. Carolina Panthers receiver Philly Brown (shoulder) and safety Thomas DeCoud (hamstring) did not practice, per the Charlotte Observer's Joe Person. Veterans Greg Olsen and Jonathan Stewart got the day off in advance of Saturday's playoff showdown with the Seattle Seahawks. 3. Seahawks coach Pete Carroll said Tuesday that center Max Unger (ankle/knee) practiced and is line to play on Saturday against the Panthers. Unger has not played since Week 11. Carroll added that cornerback Tharold Simon (shoulder) will be good to go. However, defensive tackle Jordan Hill was placed on injured reserve. 4. Ravens offensive lineman Eugene Monroe (ankle) and defensive tackle Timmy Jernigan (ankle, foot) returned to practice on Tuesday. Monroe and Jernigan missed Baltimore's Wild Card win against the Steelers last week.